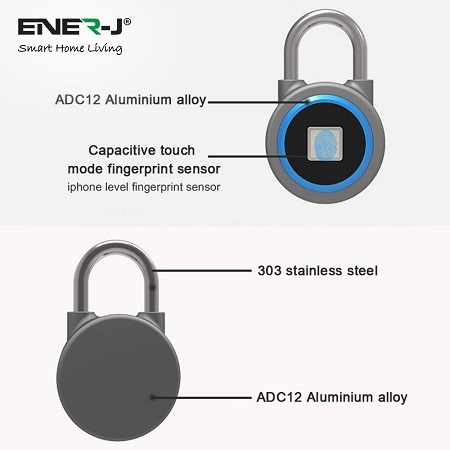 A new innovative lock from Ener J which eliminates the fear of losing key or forgetting combination lock codes. 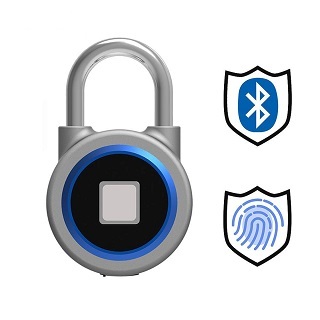 This smart lock allows you to open lock through a touch sensor capacity which is designed to indentify your fingerprint or can be opened through an App on your smartphone. 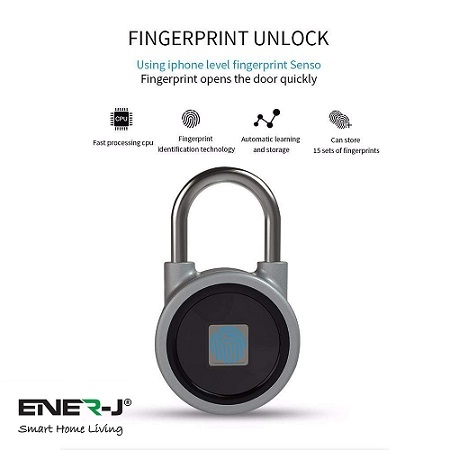 Don't worry it is not restricted to the fingerprint of one individual this lock will supports up to 16 different sets of fingerprints which can all open the lock if programmed through the App. 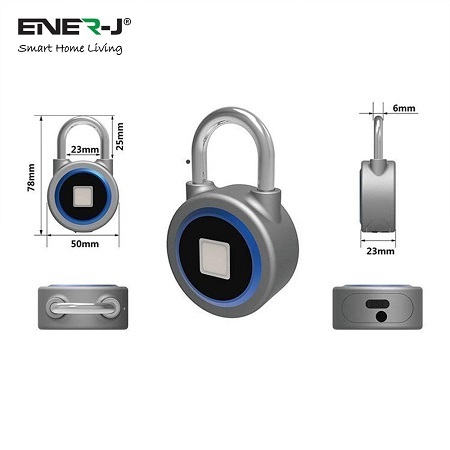 To use lock you simply use the QR Code provided in package to download free APP (for Android and iOS) then one enjoy the convenient key less design and share access with friends, family and work colleagues. 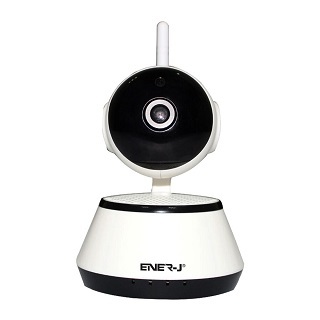 bottom). 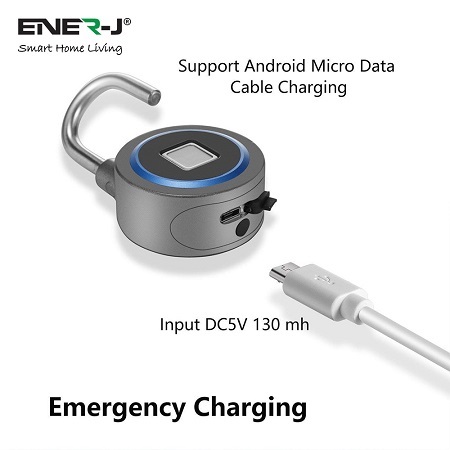 By one full charge, the built-in battery can keep standby for one month or 1000 times unlock. 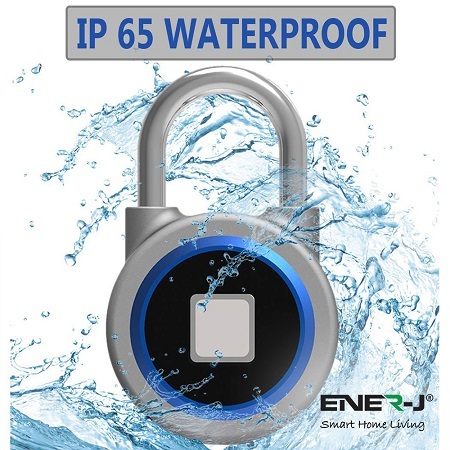 The lock is IP65 waterproof which means it can withstand ordinary wet environments and rainy weather and is thus perfect for indoor or outdoor use. 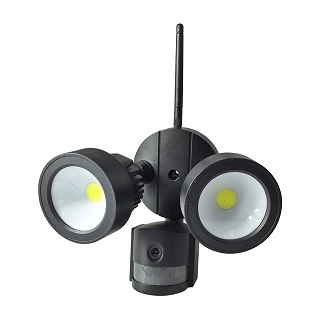 Great on sheds, bicycles, backpacks, lockers, etc.